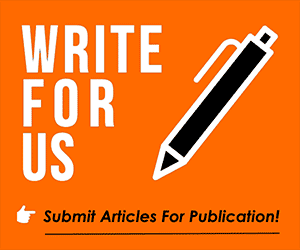 Swansea ended a 3 match losing streak with a dramatic 3-2 win at Griffin Park. Graham Potter once again changed formation and made 6 changes with first starts since Stoke for Wayne Routledge and Nathan Dyer the headline news. Bersant Celina also dropped out with Barrie McKay playing behind Oli McBurnie. After a difficult run of results, Swansea couldn’t have wished for a better start as they opened the scoring inside 25 seconds. The Brentford full back Dalsgaard wanted too long on the ball outside the box and Barrie McKay was sharp enough to get close enough to him to win the ball and fire in a low cross for Wayne Routledge to tap in. 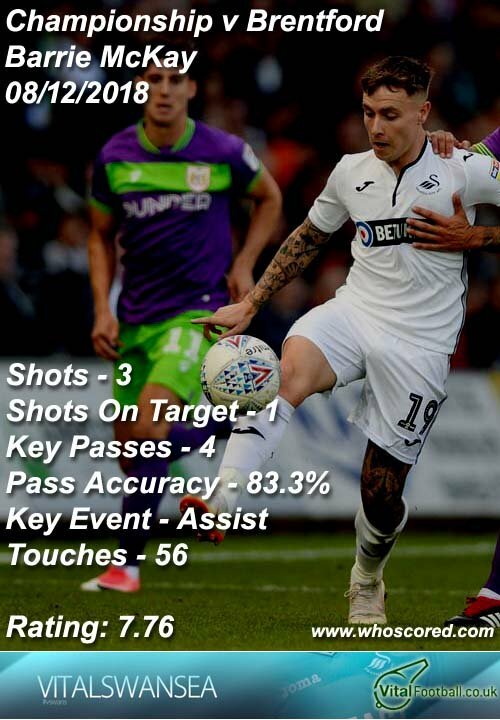 The goal clearly gave Swansea the confidence they needed and the away end were soon celebrating again when some neat one-touch passing between Dyer, McKay and McBurnie led to another low cross and Chris Mepham got his feet mixed up and the ball trickled into the goal. Routledge and Dyer were having a big influence on the game and causing Brentford problems again and a stunning rabona cross from Routledge found McBurnie at the back pass who’s attempted overhead kick fell into the path of captain Leroy Fer who was able to guide the ball into the bottom right-hand corner. 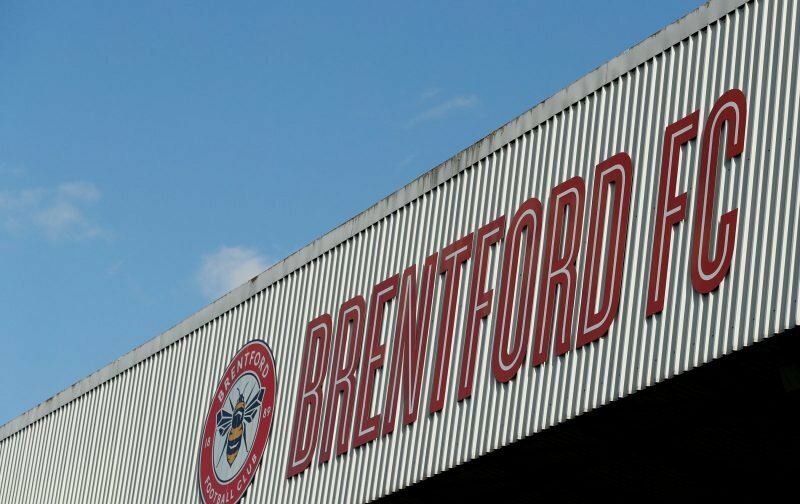 Brentford were now having an inquest in the middle of the pitch under a chorus of boos from the home support who have seen their team lose 6 in 8 since Dean Smith departed. As Swansea looked comfortable, Neal Maupay needlessly fouled Joe Rodon before stamping on him in one of the clearest red card offences you will see all season. The referee somehow didn’t see it and anyone who has watched the Championship this season won’t be surprised by this as the standard of refereeing has been appalling. Even though he shouldn’t have been on the pitch it was Maupay who seemed likely to threaten a Brentford comeback and looked set the score before a brilliant last-ditch tackle from Mike Van Der Hoorn. Just as it looked Swansea might get into halftime with Brentford got their goal after a rasping shot from former Swan Josh McEachran hit the bar and the rebound was turned in by Ollie Watkins. Swansea were suffering in the 8 minutes of injury time which were being played due to a nasty looking injury to Martin Olsson but managed to hold on. Swansea started the second half looking to finish the game had had a succession of chances firstly a flowing move saw Connor Roberts hit the post, the woodwork was struck again by Van Der Hoorn from a corner and lastly, Leroy Fer brought a good save out of the keeper. With signs that the 4th goal was not coming, Swansea looked to see out the result amid an onslaught from Brentford who were now throwing everything forward. It took a stunning save from Erwin Mulder to deny Maupay from close range but this was only a temporary reprieve as minutes later Said Benrahma curled in a stunning free kick to give Brentford real hope of salvaging a draw. 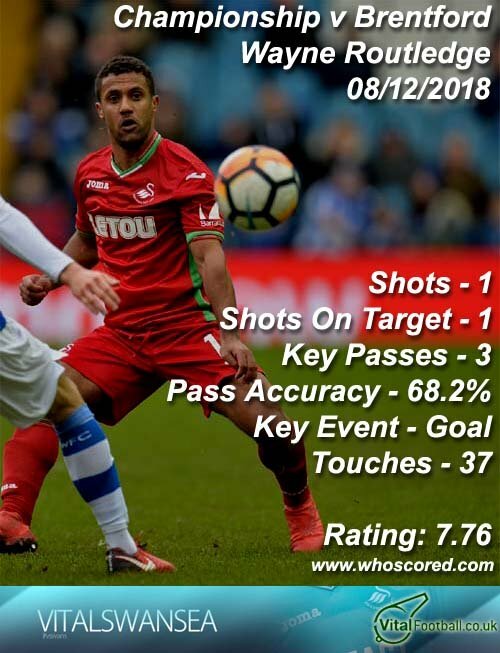 Swansea were now in survival mode and with Dyer and Routledge withdrawn they lacked a counter-attacking threat but continued to deal with wave after wave of Brentford attack. When the chance to draw level did arrive it was a good one. 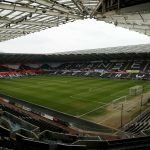 A header across goal found Sergi Canos at the back post who directed his shot at goal but it hit the top of the bar and Swansea managed to see out a vital 3-2 win.